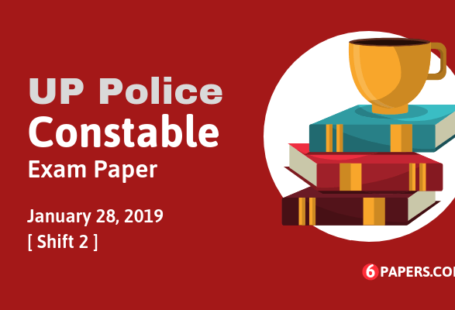 UP Police Constable exam paper 27 January 2019 with Answer key (Evening shift) in English language available here. 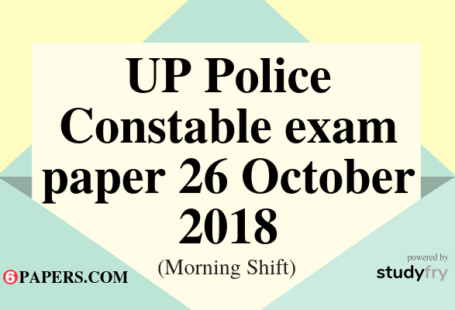 UP Police Constable exam paper with answer key held by UPPRPB (Uttar Pradesh Police Recruitment and Promotion Board) on 27 January 2019 03 PM to 05 PM (Evening shift) in Uttar Pradesh state. Q1 The women’s team of which country won the 2018 Carrom World Cup held in South Korea? Q2 What is India’s rank in the Ease of Doing Business 2018 index by the World Bank? Q3 The administrative headquarters of the NDA was named the Block, in honour of the sacrifices of Indian soldiers in the East African Campaign. Q4 Who is the first Indian woman cricketer to hit a century in T20 International cricket by scoring 103 runs in 51 balls? . Q5 Which of the following organs is capable of removing unused or damaged platelets? Q7 The monomer caprolactam is polymerised to obtain which polymer? Q8 The dimensions of the physical quantity of power are _______ . Q9 CaSO42H20 is the chemical formula of _______. Q10 The Madan Mohan Malaviya University of Technology is located in ______. Q11 The emblem of Uttar Pradesh Police features which animal? Q12 Uttar Pradesh contributes seats to the Lok Sabha. Q14 The poet saint Kabir was born and raised in which city? Q15 The foundation of the Lucknow Gharana was laid by Ustad _________. Q16 The Offical Flag of Uttar Pradesh Police has two colours, red and _________. Q17 The poem, ‘Chhaap Tilak Sab Chheeni’ by Amir Khusro is in which language? Q18 Swami Rambhadracharya was honoured with the ______ in the year 2015. Q19 Which of the following taxes (a state tax) was subsumed in GST? Q20 World Health Day is celebrated on which day?